Drug addiction questions that you may have and need answers for. Recovery is a process. It begins with a person discovering or admitting that they have a problem with drugs and/or alcohol and they need help. Depending on their individual situation and needs, a recovery treatment program is established, either in a residential setting, or out-patient. People who receive treatment for their addictions are not cured of those addictions, so recovery is also a lifestyle. Like other chronic conditions, like diabetes, addiction is not cured, but it can be managed. One of the first steps in recovery is to get the substance out of the system, and so recovering addicts will go through detoxification (detox). There are some who think that detox is the solution, but it’s really only the beginning. Because recovery is a lifestyle change, addicts need to learn new skills and coping mechanisms to keep control over their addiction, rather than addiction controlling them. Some require a medical intervention, to ease the craving for a drug. Others respond well to counseling or psychotherapy. Everybody is different, so programs are as diverse as the addicts themselves. Another important drug addiction questions: The 12-Step Recovery Program is popular, mainly because addicts can share their experiences, receive help and support from each other, and in the years since Alcohol Anonymous introduced those steps in 1935, over 25 self-help groups have adapted the steps to fit their needs. But recovery is not limited to 12-step, and it’s important to understand that individual needs will dictate treatment options. Recovery is the path that leads to sobriety and a restoration of sanity. The path is your new direction in life, not the end. Recovery never ends, but recovering addicts have walked down the path and received the knowledge and support they need to live a happy, healthy and productive life. Signs that you or your loved one are in recovery. When someone is fully in addiction recovery the signs are usually pretty clear. They are not as defensive and angry. They are willing to discuss their addiction. They tell the truth rather than telling a lie. They are no longer secretive. They turn back into the person they were before their addiction controlled them. If many of these signs are not present then the addict needs to continue to work the steps and seek their own recovery from the addiction. It isn't a matter of just not using it means your entire outlook has changed. 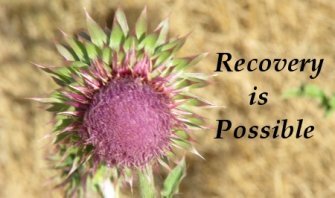 Recovery is necessary to avoid relapse. If the addict is still in the same patterns and hasn't changed their outlook relapse is almost a certainty. Just not using is not enough to end addiction you must change your outlook and perspective to truly move past your addiction.